Branko - Nosso. Vinyl LP. Bleep. Branko returns to Enchufada (Dengue Dengue Dengue, Mina) with a new LP. Nosso finds the Buraka Som Sistema fellow come through with another set of wide-ranging and forward-thinking club productions. This record draws on the musical melting pot that is Branko’s home city of Lisbon, and as such we find kizomba, Afrobeats, future r ‘n’ b, baile funk, house and more all blended together here. 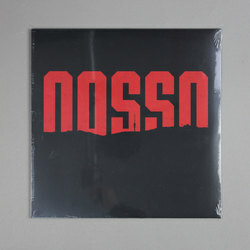 A richly melodic record, Nosso is bolstered by a number of stellar guest features.